The official announcement of Fallout 4 was a huge deal for millions of readers last week, spiking traffic to heights we hadn’t seen since January. 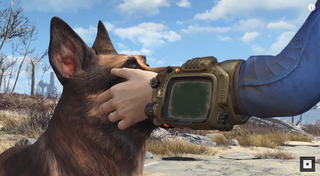 But were our Fallout stories my favorite Kotaku pieces of last week? Nope. They were good, mind you. Our initial announcement ones were fine, pretty much by-the-numbers with the added factor that we were able to show that they proved that our reporting about the game from way back in December 2013 was accurate. I really liked Patricia’s announcement-day breakdown of the game’s trailer, since she clearly had fun flaunting her Fallout expertise for our readers’ benefit. We ran a dash of debunkery, too. I’m proud when we can cover a game announcement this well, but a lot of the success we have with this involves plucking low-hanging fruit and the risk of falling into the hype cycle, something we’re trying to push against. Good, solid coverage, but not quite right for My Five. We also had a mini-theme about guns last week. Luke and Kirk both had really strong posts about video game guns. Not in My Five either, though. Close! Developer Sees Game Announcement, Realizes He’s Making The Same Game | In this one, Patrick writes about a very awkward situation that would surely shake any creative person. He shows great journalistic empathy as he succinctly chronicles the emotional journey the developer went on. He also includes a surprising additional voice in his story. Tomorrow’s Spider-Man Comic Undoes One of Marvel’s Stupidest Mistakes | Evan’s been on a roll with his comics coverage, of late. I recently described the groove he’s been in as Evan finding a way to cover what happens in comics as cultural current events. It’s great that Evan actually reads what he’s talking about, and he does a fine job using the visuals of the medium to enhance his arguments. In Defense Of The Flood, Halo’s Most Hated Enemy | Twice a month, freelancer GB Burford writes game- or level-specific gameplay analysis for Kotaku readers (and apparently some developers) to enjoy. His attempt to rehabilitate the Flood’s reputation was one of his strongest outings. He had me convinced by the end! It was a good week for freelance pieces on the site, as I also enjoyed Rowan Kaiser’s epic explanation of his incredible alternate-reality NBA 2K league. The First Five Joyous Minutes Of LEGO’s Minecraft | Last week was a showcase for Mike’s newish First Five feature, which he used to show the first five minutes of Hatred on the day it launched, the first five minutes of the first Fallout as a retro thing and, in this case, the first five minutes of a surprise, new Lego game, just an hour or two after it was announced and launched onto Steam’s Early Access. Mike can’t use First Five to dive deeply into a game, but he can use it to show readers more and more games as they come out. Given the persistent challenge to cover the overwhelming number of interesting new games that are always coming out, First Five is an important new tool for us to wield. All of the above were good, but I must cheat, as I often do, and shoehorn in at least one more. Patricia’s latest piece about an innovative Mario 64 player is as marvelous as it is mind-bending. In this one, she explains and shows how he cleared a level without jumping... using Goombas as a strange sort of stairway to the heavens. Amazing stuff. Oh, and a special nod to Richard in Tokyo for perhaps unwittingly catering to my fascination with how long it takes to run across game worlds. Let’s also nod to Nathan as well, shall we, for once again following up on story, in this case the fate of Godus, after much of the media have herded to other things. One last thing about last week: we, the combined editorial staffs of the Gawker Media sites, Kotaku included, voted to unionize. The next step in an ever-fascinating journey. And that’s enough about last week. I’ll probably skip this feature next Monday, as I’ll be in the midst of E3 stuff then. I can only do so much, people!